THE Hebridean Celtic Festival has recorded another successul year - and has now generated around £25million for the local economy in its 22-year history. Organisers of the four-day event claim it has delivered a lasting positive economic and cultural impact for the community. While some music festivals in Scotland are being discontinued, HebCelt is showing it is going from strength to strength, with this year’s event confirmed as one of the most successful in its history. The festival was held in the isle of Lewis, with headliners The Waterboys, Imelda May, Dougie MacLean and Lucy Spraggan. It featured more than 40 acts and over 70 hours of performances in the main arena, in Stornoway town centre and in sell-out community shows in Lewis and Harris, reaching nearly 16,000 attendances over its four-day run. Festival director Caroline Maclennan said: “Our 22nd festival was a great success. “The beautiful weather added to the wonderful atmosphere in and around the arena and the feedback from the artists, audience and traders has been extremely positive, demonstrating the enormous benefit to the community the festival undoubtedly brings. “It is a relaxed, chilled out occasion and, with the kids running around enjoying themselves too, it provides a superb family experience. “The demise of other festivals underlines just how challenging it is to organise these large-scale events, particularly outside the bigger population centres. During festival week Stornoway and surrounding villages were crammed with visitors, with nearly 60 per cent coming from outside the islands – from across the UK, Europe, the US, Canada, Australia and New Zealand - filling hotels, guest houses and campsites in the area. Numbers visiting the Stornoway Information Centre were up by more than 40 per cent on the corresponding week in 2016. 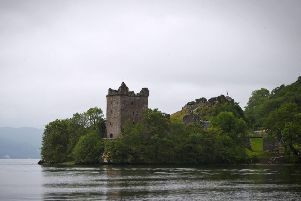 Alan MacKenzie, VisitScotland islands manager for the Outer Hebrides, said: “The number of visitors to the area during HebCelt was tremendous. “Many people came for the whole week so they had a chance to see all the amazing scenery and attractions the island have to offer, with many saying they will definitely come back to visit again. Businesses reported trading up on previous years. Leading acts also provided a chorus of praise for this year’s event. And Imelda May said: “I had a fabulous gig, the audience were fantastic. They were warm, involved and open to anything. The band and I thoroughly enjoyed ourselves. The festival has been recognised for its economic and tourism impact on the islands in a motion to the Scottish Parliament. Rhoda Grant, a Highlands and Islands Labour MSP, asked the Parliament to congratulate and commend the organisers and volunteers who run the not-for-profit event. HebCelt has grown from a small event attracting less than 1,000 fans, to an international showpiece for roots, Celtic and traditional music. It is estimated it has generated nearly £25 million for the local economy over 22 years. In 2015 HebCelt was selected as one of the top 10 UK summer festivals for the fifth year in succession by influential publication Songlines. In 2014 HebCelt was voted Best Event or Festival at the Highlands and Islands Tourism Awards. It has also been ranked Best Large Festival at the industry-sponsored Scottish Event Awards and won Best Event of the Year honours at the MG Alba Scots Trad Music Awards.